We have all heard the phrase “the apple doesn’t fall far from the tree”. But is it true? A recent study found that there is some truth in this, with our work ethic being influenced by our relationship with our parents. 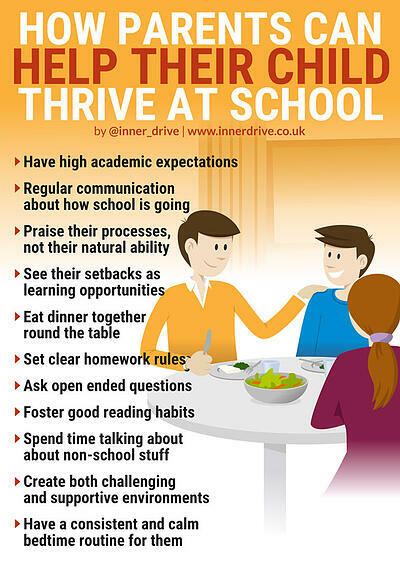 But what else can parents do to help their students thrive at school? Have High Academic Expectations – Out of all the things parents can do, having high aspirations and expectations of your child has the biggest impact on their grades. Parental expectations include how important school is, their attitude towards teachers, and the value of education. Regular Communication – This includes developing and maintaining communication with children about their school life. This helps parents nip any potential problems in the bud before they manifest into bigger issues. If the communication includes open ended questions, this has been found to be particularly effective in some situations. Good Reading Habits – This involved reading frequently and regularly with their child. This includes reading to them and encouraging them to read alongside them as well. Homework rules – Having clear rules to deal with how they divide their homework and leisure time. Explaining why these rules are in place can help them eventually make better decisions regarding their independent study time later in their school career. 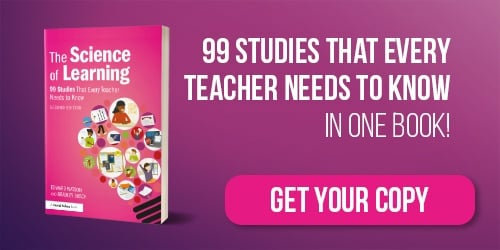 Furthermore, this report also found that students who spent time talking with their parents were two-thirds of a school year ahead in subjects such as science. A recent study found that how parents react to failure has a big influence on their child’s mindset. They found that those who viewed failure as an opportunity to learn and improve were more likely to have children with a growth mindset, whereas those who reacted to failures as a source of shame and negativity were more likely to have children with a fixed mindset. Likewise, how parents react to success can also influence how their child subsequently thinks, feels and behaves. One study found that parents who praise their child’s processes and efforts following a success, instead of their natural ability, were more likely to have children who had a growth mindset when measured several years later. Simply put, sleep plays a huge role in a child’s success. Getting a good night’s sleep has been found to help students improve their mood, ability to deal with stress, creativity, concentration and memory. However, many students continue to make many sleep mistakes. Having a clear understanding of the importance of sleep and fostering helpful consistent bedtime routines may be the biggest thing that parents can do to help their children thrive at school.